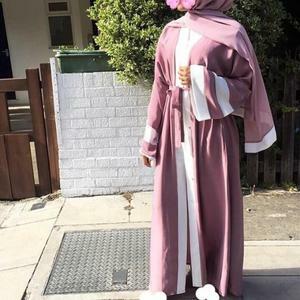 this fashionable lady crepe colored abaya is very popular now with good quality fabric and unique design. we also can customize the crepe caftan collection according to your exact requirements. 6 YRS Guangzhou Yi Ai Trading Co., Ltd.
2. What kind of technics are you good at9 Beading, embroidery, printing, garment dyed, etc. samples are charged before production, and it will be immediately returned when order placed. 4. What payment terms 9 We accept L/C Credit card, Western Union, Money Gram and T/T. 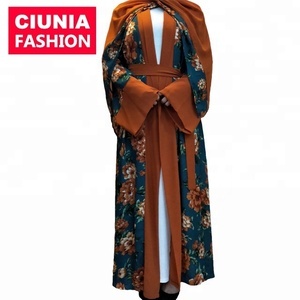 Alibaba.com offers 22,788 colored abayas products. About 79% of these are islamic clothing, 2% are 100% polyester fabric. 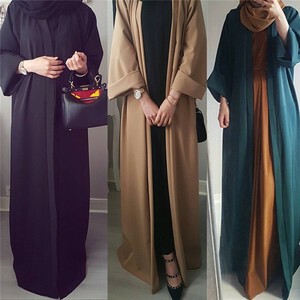 A wide variety of colored abayas options are available to you, such as in-stock items, oem service, and odm. You can also choose from women, girls, and men. As well as from abaya, salwar kameez, and thobe / thawb. And whether colored abayas is adults, infants & toddlers, or children. There are 22,788 colored abayas suppliers, mainly located in Asia. The top supplying country is China (Mainland), which supply 100% of colored abayas respectively. Colored abayas products are most popular in North America, Southeast Asia, and Mid East. You can ensure product safety by selecting from certified suppliers, including 537 with Other, 78 with ISO9001, and 20 with BRC certification.